» Free Traffic vs Paid Traffic – Which One Is Better? Hey everybody! In this video we’ll find out if you should focus on growing your free traffic or if you should try to master paid traffic. Free traffic, isn't real: There's no such thing as free traffic, because you're either paying with money or you're paying with your time. You will spend time and energy on making that happen. It’s faster: You can get data in four weeks with paid traffic or you can wait six months to collect it. It allows you to: Test factors, images, messages, headlines, patent price points much faster. What to choose when you’re starting: If you want to go after growing a business, stop choosing! The more you develop your organic strategy, the better pay traffic works. Work on both options to improve your business. So, bear in mind those reasons why you should choose paid traffic when starting a business, you’ll see results much faster and you won’t regret it. Also learn how to drive traffic to you blog on a budget. 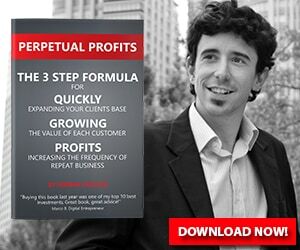 Should you focus on growing your free traffic or trying to master paid traffic? Hey guys what's up? Welcome to another video. This is Hernan and welcome welcome welcome to the channel if you're new to the channel, thank you for watching this and if you have been around for a while, thank you for all of the support everything that you guys have been giving to this channel has been great so far. So I had a question on my Facebook group that you can see back here I have my facebook group here which is free to join by the way and one of the questions that I get pretty much every day or every week I should say is should I focus on growing my organic traffic or should I focus on growing my pay traffic so I kind of wanted to touch base on why do I like to focus on and then moving from there. So the reality is that right off the bat, I don't believe in free traffic. I don't think there's such thing as free traffic. I don't think though, because you're either paying with money or you're paying with your time, right? If you're trying to, I don't know, grow your Instagram profile, or you're trying to grow your YouTube channel, or you're trying to grow your Facebook page, or you're trying to, you know, grow organically grow the visitors that come from Google and whatnot, you are spending resources, right? You're spending time you're spending energy on making that happen. Now, the reality is that you it's harder to account for that traffic, because it's usually our time, right? And if it's a project that you really like to do, then it doesn't feel like working. So you keep on doing it. And then you have some probing, you say, Well, this is free traffic, but in reality, you put a lot of effort into it. Now, on the other hand, the way worse with paid traffic is that you need to know your numbers to the T or at least you need to be willing to lose some money in order to know your numbers by data and then go from there, so for example, most people try to run a Facebook campaign. And it usually doesn't work like nine times out of 10, when you start running a Facebook ad campaign, it will not work. Why? Because the reality is that when you're going into Facebook ads, or Google ads, or YouTube ads, whatever that is, you're buying data. You're buying data from the provider, whether it's Facebook, Google, etc, etc. So I usually say that between two to $3,000, depending on your marketplace and your your price points will be strictly aim to get data from those providers. So have that in mind. Now, the reality is that I love pay traffic just because of the fact that it's faster. Okay, now, it allows you to testing factors that allow you to test the image to text messages to test headlines, for example, to test images to test you know, patent price points. Did I say to test images? Yeah, I said, like three times now, but it allows you to test much faster. Okay, let's say that you're launching a brand new funnel for your company and you don't know if we're gonna work. You have two options. You can either wait six months or three months or whatever, unless you already have a platform, right? But you can wait 623, you know, three to six months to actually make it work. Or you can get data in four weeks, right? instead of like three months. So that's why I like pay traffic so much. However, here's the thing. We have the last right now that we don't have to choose Yeah, you don't have to choose in either or pay traffic or organic traffic. In fact, the more that you develop your organic strategy, the better pay traffic works. So for instance, let's say that you're trying to have a successful Facebook ads campaign right. And the minute you start advertising on Facebook, your organic reach will also grow your Facebook page will get more likes, your engagement will go through the roof and you will get a lot of stuff going on. 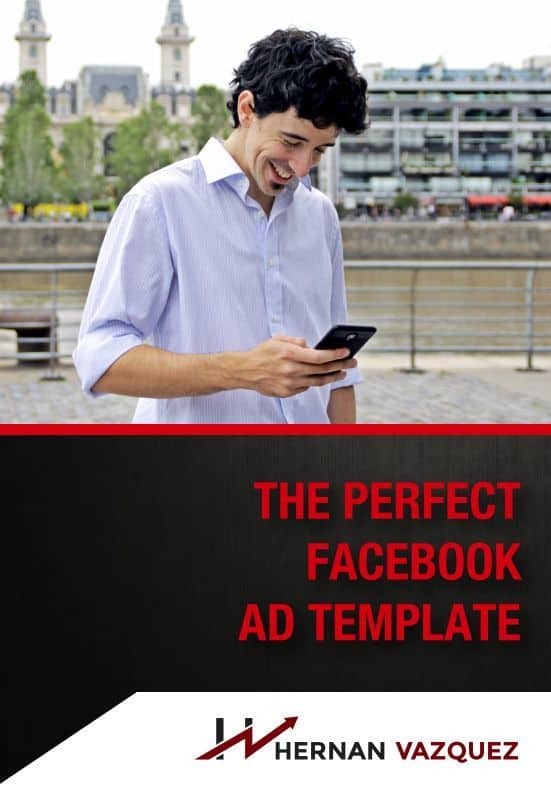 I have a client right now that is spending anywhere between three to five to $7,000 per day on Facebook ads, and the reality is that we try to track Facebook ads as much as possible. But here's the thing he's getting so much organic momentum on his Facebook page on his Instagram profile on his email list etc etc that we know for sure that we are having an impact that it's hard to track on Facebook ads terms but we're having an impact on his brand just because of the fact that we're spending so much money on Facebook granted we're making the profit you know 30 days we make our money back we have anywhere between 70 to 100% ROI you know depending on the month depending on the pricing and whatnot but there's a lot of other and accounted for sales that we know for a fact come from Facebook because of the fact that he's getting a lot more likes a lot a lot more shares etc etc. So my advice if you want to go after growing a business is to stop choosing, do not choose, focus on paid traffic at first I know it's hard for you to understand this because most people are saying yeah with free traffic you can make millions of dollars and that's the case but it's just think stone so much time. And you need to work you know three four times as hard that we pay traffic you can have data like that now if you do not have money to run pay traffic need to perform generally get a job get a part time job so you can afford your ads and whatnot and then as you start seeing the traction then you can divert into Okay, I'm going to post organically on my Facebook page, okay, I'm going to upload videos to you know, my Instagram profile I'm going to do this I'm going to do that. So, I think that pay traffic is the best way to kick start any project and to accelerate the you know the growth of any project at any given time. It doesn't really matter what your industry is, but be willing to spend some money to get some data and make informed decisions while you work on your free traffic strategy and the backend. Alright guys, so, I hope this helps you clarifying some stuff if you need more answers. If you have more questions. There's a lot of new stuff going on. You know what platform should I use? Why my Facebook ads are not delivering. There's a lot of good stuff on this YouTube channel so you can subscribe and if not, you can come and join the free Facebook group hundred percent free and I would love to have you guys all right i'll see you guys next week. Bye bye.